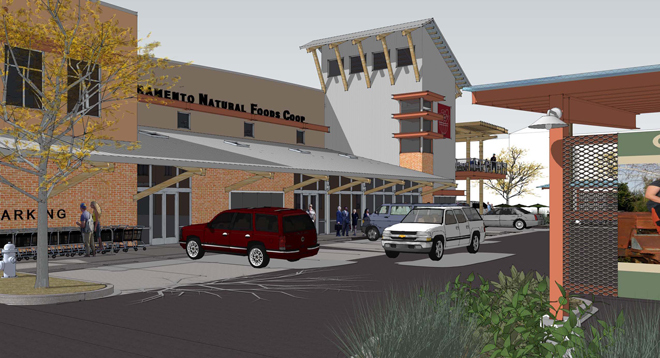 The Sacramento Natural Foods Co-op, with construction due to begin late 2014, will be the new and expanded home for a successful local cooperative that has outgrown its current location a few blocks away. 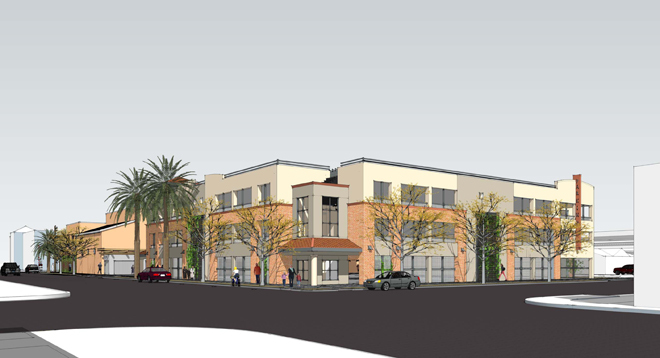 The 42,000 SF two-story building will nearly double the size of the existing store and will consolidate under a single roof an expanded market, café and delicatessen, administrative offices, meeting rooms and classrooms with a demonstration kitchen. The building incorporates a number of sustainability features including solar carports and energy-efficient envelope design. 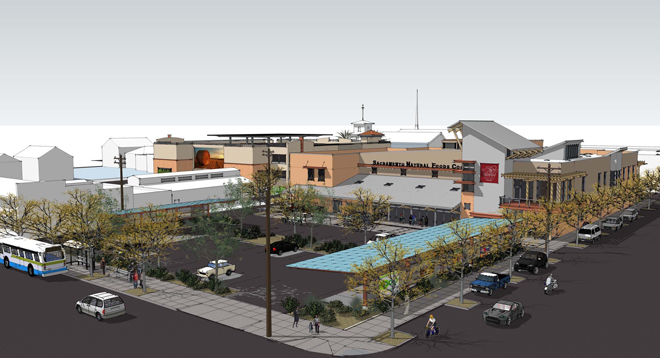 Also included in the project is a new four level parking structure.